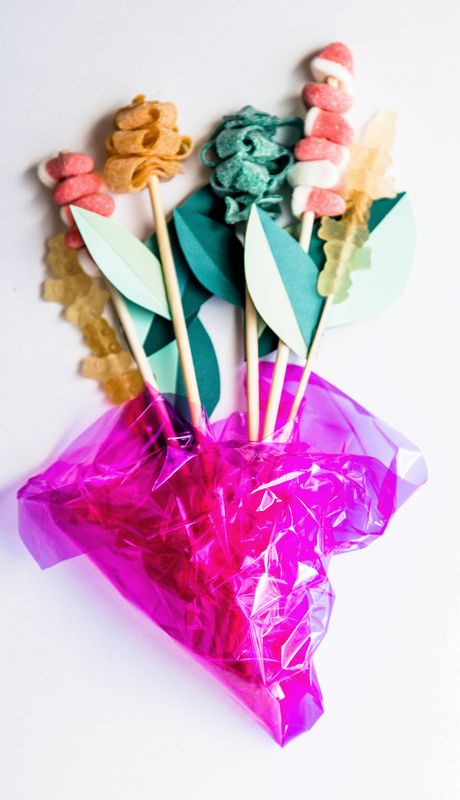 Saying thank you and goodbye to teachers this last month was made a little easier with this candy bouquet DIY present. The treat is a fun twist on a bouquet of flowers, but so much sweeter! We made a birthday donut bouquet earlier this year and this concept is similar, except we are switching out the donuts for candy and creating a floral look filled with sugary goodness. 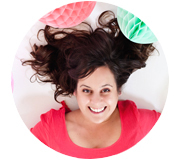 Create a DIY candy bouquet for any upcoming party and you will for sure be praised. A graduation candy bouquet along with money, a thank you DIY candy bouquet for teachers, coaches and anyone needing a little extra sweet thanks this time of year. We also created a candy wreath that is a fun twist on this concept for the holidays. These treat bouquets are also an easy way to serve sweets at a summer party. 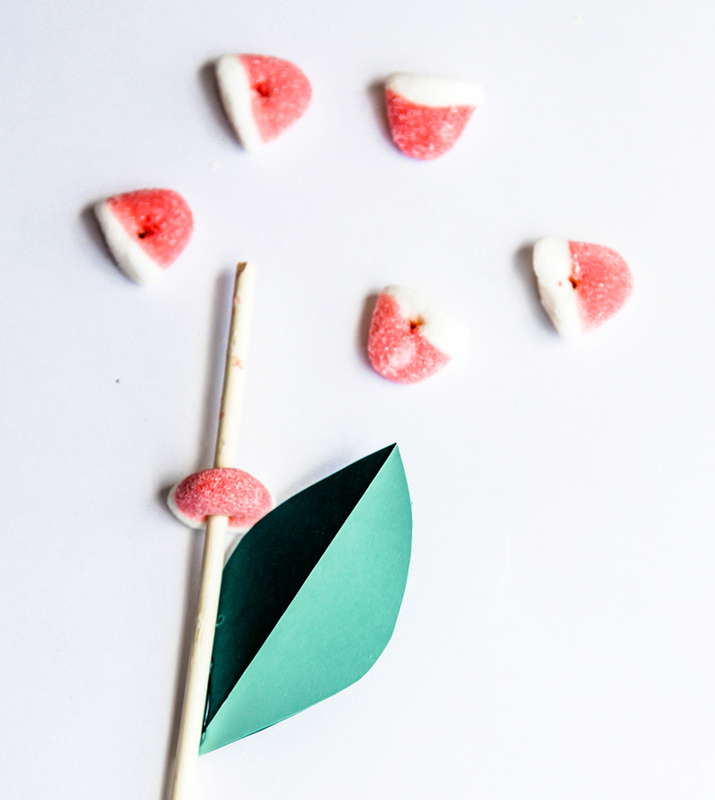 Make a bouquet of candy flowers and set them out on the table for the taking. 1. Start by skewering! For the small individual sized gummies, skewer into groupings of 6 or more. 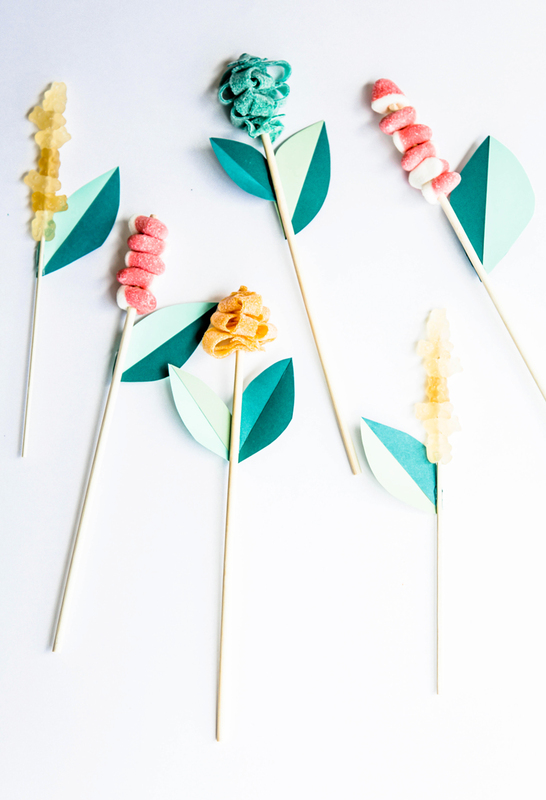 Layering the small candy on the sticks makes them look like tall and beautiful candy flowers. 2. For the licorice ribbons, skewer the ends of 3 to 4 ribbons. Starting with ribbon on the bottom of the “stack”, skewer again about 1.5″ along the ribbon. Continue around with each ribbon until you reach the top. Scrunch the ribbons together to make a tight “flower” or stretch along the skewer to make a looser flower. 3. Cut leaf shapes from colored paper. We layered two colors together to add fun dimension. 4. Hot glue along the backside of each leaf into one of the skewers. 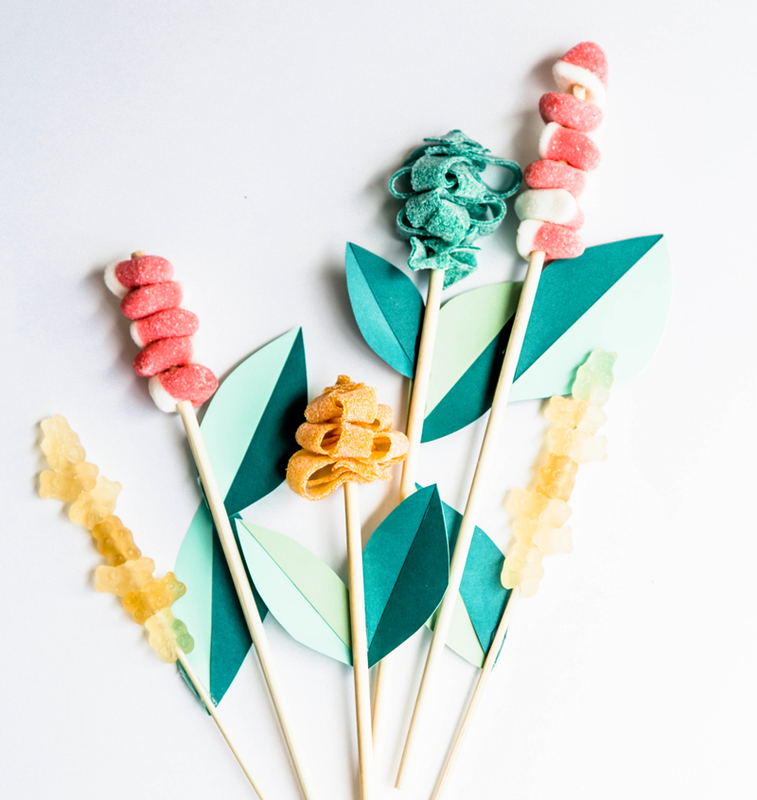 Combine all the individual skewer flowers to create and entire bouquet of sweet candy fun! We wrapped ours in bright cellophane, but the bouquet can be wrapped in anything imaginable. The candy flowers also look so fun presented in a vase or a line up along a table. 1. To create a thank you gift out of the candy bouquet, use printable thank you note stickers to wrap up the bouquet with. 2. For a birthday candy bouquet DIY. Follow the instructions above and stick a wildly long candle or two in the bouquet and light them to sing happy birthday in the office. A few small balloons would make this extra special. 4. 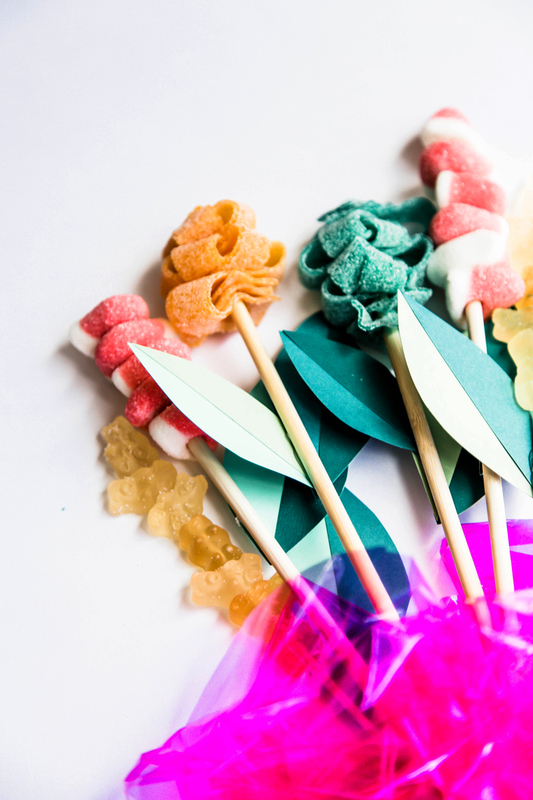 For party favors make a candy skewer flower to include in the bouquet for every person in the room and wrap up napkins at the base, making this a birthday treat that is fun, sweet and one that cleans up after itself. Hooray!